The Future of Wine Dispensing and Preservation is here to make your Wine Selling more successful than ever! 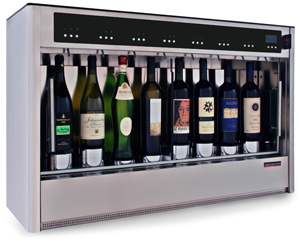 The WineEmotion Wine Dispensing and Preservation System provides an opportunity for operators to increase their profits and extend their wine by the glass menus by upselling to customers with premium wines. By providing innovative technology without compromising on the passion and enjoyment that is experienced through drinking wine, WineEmotion have transformed how wine is served. Founded by the original creator of modern day wine dispensing systems, Riccardo Gosi, the WineEmotion range has been developed to bring a unique blend of Italian style and state of the art technology with flexible and user-friendly operation. The multi-functional use of the next generation WineEmotion products allows a variety of configurations, from behind the bar to customer-controlled systems, advancing how wine is sold on your premises. 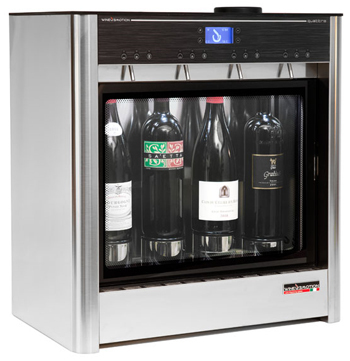 The WineEmotion system ensures wine wastage is minimised – the unique patented technology ISOL-PLUS extends the life of the wine placed in the machine, protecting the condition of the wine for weeks once opened. Further wine wastage reductions are made through exact measure control meaning you no longer have to rely on your staff to pour correct measures. Throughout Europe and the USA, WineEmotion systems have been sold to thousands of operators that serve wine by the glass: in bars, restaurants, casinos and hotels; to wine merchants, delis, shops and other wine retailers. The operator’s love of wine is only eclipsed by the love of profits! WineEmotion products allow operators to realise their wine sales potential, with a product that is competitively priced and ultra-reliable. WineEmotion systems add unparalleled levels of design and innovation to Seegir’s product portfolio, offered to their customers with renowned levels of professional service. WineEmotion is brought to the UK by Seegir Ltd, the UK’s leading wine care company with over 20 years’ experience of bringing high specification wine serving and storage products and advice to the UK marketplace. WineEmotion systems add unparalleled levels of design and innovation to Seegir’s product portfolio, offered to their customers with renowned levels of professional service.